In our last blog we shared with you about our partnership in the Child Protect Project in the Philippines with Omega, Ora International, and Hope for the Nations. We shard a clip from our Family Day Event showing our children’s choir performance and the hope that it brought the community. It’s easy to think of it just being one day, but for many it was life giving. We received one story from one of our partners Alvin Quillope, that shows exactly how impactful it was for one particular girl and her family. 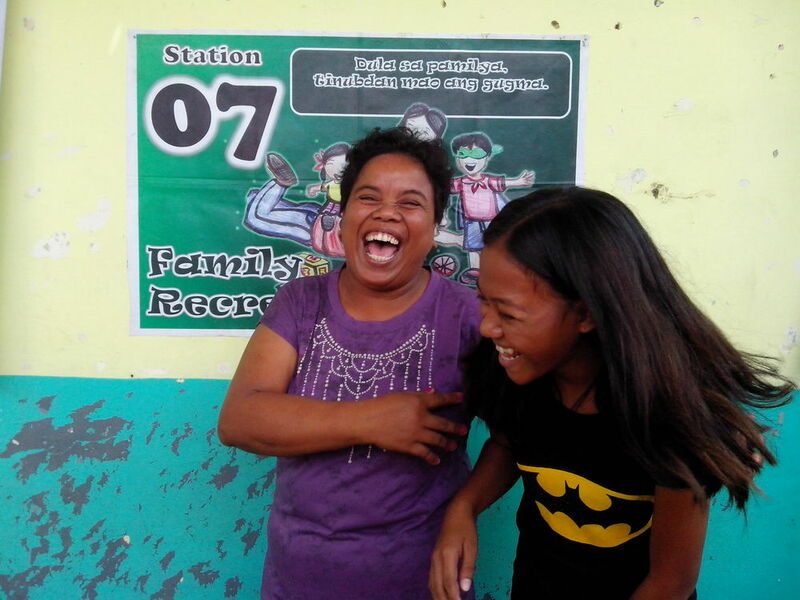 Joanne is one of the many who went through the Typhoon Haiyan. She and her family struggled to swim and survive the storm, swimming for about 500 meters each to their own safety. They saw their life swept away, their home and all they had destroyed by the winds and storm. When the team first started working with the class Joanne was in, the staff noticed how quiet and uncooperative she was during the sessions. When they asked her about what happened to her during the typhoon she refused to answer but tears began to fall from her eyes. You could tell that the experience was still so real and vivid. They decided to give her some solitude and asked the teacher instead. When they heard of her story they wondered how many others in the class were still haunted by the memories of Hiayan. They wanted desperately for their time and efforts to serve as healing agents to help erase the ugly memories and replace them with good ones. They were thrilled when they announced the Family Day Event and couldn’t wait for the children to bring their families and hoped they would experience the joy the event brings. When the day came our staff was ecstatic to see Joanne and her entire family at the event! They participated in the entire event and all the activities and it appeared they were having fun! When they got back to their school a few days after the event they could tell that Joanne’s entire countenance had changed. She had a huge smile and you could tell she was happy. We asked the class for their feedback and for their experience at the event. Joanne was one of the first to respond and said she will never forget the Family Day Event saying, “I realized that there are still many things we can do in order to move on with life.” No longer was Joanne timid, quiet, and uncooperative; she was no longer in fear. Joanne is now back to life. As Alvin said, “it is indeed possible to replace the painful memories with good ones” and this was one of those times where we got to see that happen. Joanne is just one of many stories like this, just one of the children resorted back to life, normalcy, and hope.